Misaligned and crooked teeth can lead to wear on the affected teeth and cause jaw pain. Metal braces are an excellent solution as they straighten and adjust the spacing between teeth, affording a more attractive smile and properly functioning teeth. Parents can be assured that when their child or teenager is playing contact sports, the integrity of the braces won’t be disrupted related to their unsurpassable durability. The mechanism which makes braces effective is the application of pressure to the brackets, moving the teeth along the arch wire. In order for teeth to move, the braces must apply the appropriate force to overcome the friction between the bracket and the arch wire to allow teeth to shift. These braces have the least amount of friction against the metal wire compared to other types of braces. This means teeth can move more freely, requiring less treatment time. 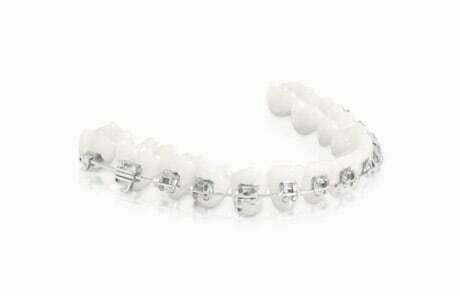 Parents can also expect these braces to be the most economical option. Other types of braces are costlier related to the material used and the additional maintenance that is required. Typically, these braces require fewer dental visits for repair and adjustments. An additional benefit to these braces is that they are simple to care for and clean. There is no additional work needed when brushing with braces, it just requires a different style of brushing. Using a soft toothbrush with a large head is recommended for brushing. Teeth and braces should also be brushed after each meal. Flossing should be done at least once every day to remove plaque and food particles that gather between the teeth. It may be tricky to get the technique down at first, but it doesn’t take long to be a pro. Many people also find it easier to clean between braces with an interdental brush. The stigma once associated with braces is in the past. Innovative technology and design has reformed the perspective taken on braces. Residents in the Baxter, Delano, Pequot Lakes and Brainerd MN area are encouraged to contact Dr. McDermott at any of his four locations to learn more about braces or schedule an appointment.